Is your governance team finding the right balance between strategic and operational involvement in your project or program? Do they understand the distinction between governance and leadership? If you think there is room for improvement, you are not alone. 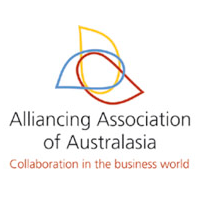 Project managers surveyed in 2010 by the Alliancing Association of Australasia (AAA) and RMIT University have called for governance teams to refine their performance. The AAA’s third perception survey included a sample of 18 projects drawn from a pool of 58 public infrastructure Alliances. It sought anonymous views of client organisations, which provided general conclusions on the performance of alliances from a client/owner perspective. More than two-thirds of respondents believe that the leadership team did not perform above expectations. This was particularly so when they did not take a proactive leadership position, assist the project as a whole and provide governance to the management team. This suggests a strong desire for alliance leadership teams to perform not only at strategic levels, but to be more actively across project issues. Survey participants were equal in their opinion as to whether the team performed below expectations, with examples including ‘being bogged down’ in detail and not providing enough leadership or onsite support to the alliance management team. Those involved in governance teams may have a different view or at least offer some insight into the challenges of this demanding role. Some of our AAA members at senior levels have shared their experiences and reflected on their performance as part of the AAA Advanced Training Series. Because of these valuable insights, we offer a specialist course has been developed to assist governance team members create better clarity and direction for project team members, drive accountability and develop controls and reporting structures to demonstrate value. In some cases a governance team benefits from doing the course together, to explore real-time issues. Other times it is more beneficial for individuals to attend from different teams, so they gain exposure to others in similar roles but with different experiences. We hope this will go some way to crystallising that elusive gem of ‘über’ leadership for new and experienced project governance practitioners. What are some of the problems with governance teams you’ve encountered? Let us know your thoughts, or visit us to find out more at www.alliancingassociation.org.